'This is historic!' 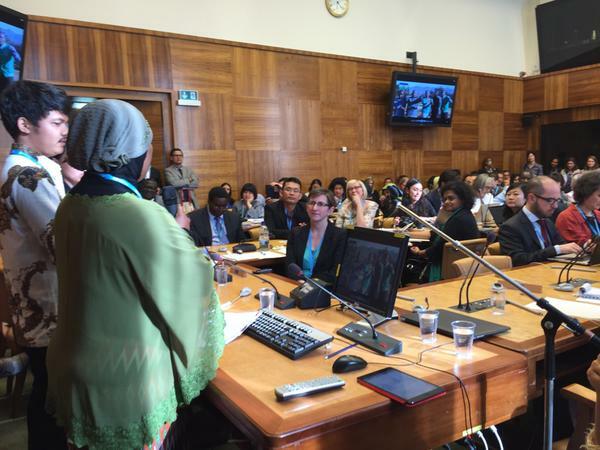 declared Richard Horton (Lancet Editor and iERG co-chair) yesterday as he opened the first ever dialogue to be held between citizens and governments at the World Health Assembly in Geneva. 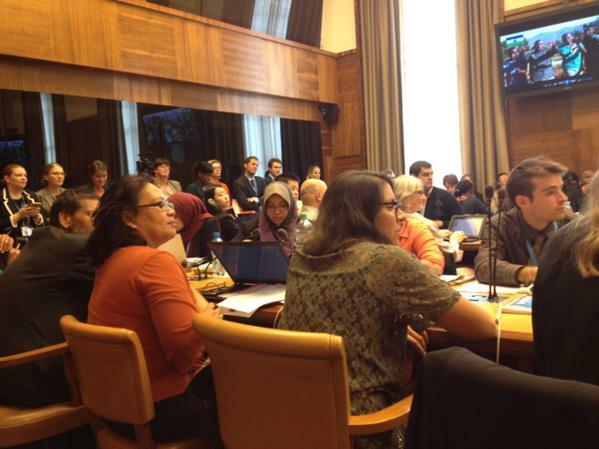 It was a standing room only as delegates flooded into the Palais de Nations conference room to hear citizens share their experiences and make recommendations to their governments on how to improve reproductive, maternal, newborn and adolescent health. Government Ministers and representatives were also there to respond, most notably from Sweden, Canada, Indonesia, Namibia, and Mali, as well as high level UN delegates. Flavia Bustreo, Assistant Director General at WHO, also voiced her strong support for increased social accountability. Citizen representatives from Indonesia and Tanzania moved and inspired the audience as they described how tens of thousands of people have taken part in Citizens Hearings at community, district and national level in some 30 countries so far - and how they hope their recommendations will be included in the updated Global Strategy. Above all, they said that progress depends on the participation of citizens. 'What next?' was the key question addressed by Stefan Germann (World Vision and PMNCH) who spoke from the floor, urging all present to aim for citizens to be fully included in WHO decision making into the future. Read the roundup from the event including press coverage!